Nobody knows how to work with natural and artificial rockwork like we do. 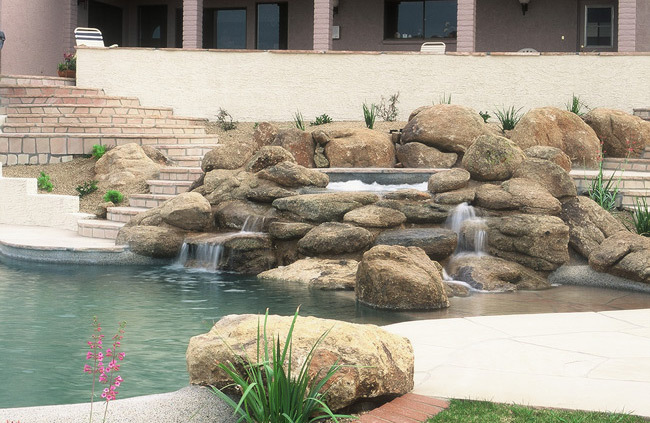 Since the inception of Rockworks Inc., we have built countless custom rock waterfalls that leave our customers in awe. 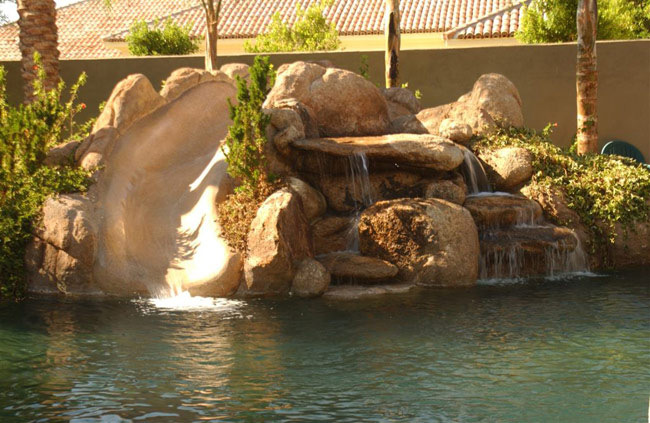 Having a waterfall, pond or other water feature in your backyard immediately enhances the environment of your landscape, and we promise to create a unique and beautiful design that blends in perfectly with the rest of your outdoor space. 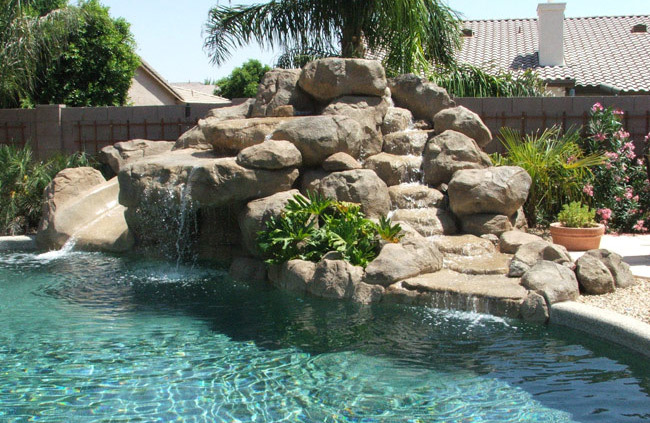 Take a look at our different projects and let’s get inspired for your next rock waterfall project! Beautiful nature stone solutions. View examples. Natural looking, affordable solutions. Browse projects.